Review management can be flexible with the ability to turn on or off the review sites you want your customer feedback sent to. Refine your reputation strategy by allocating what percentage of customer reviews you want sent to each site. 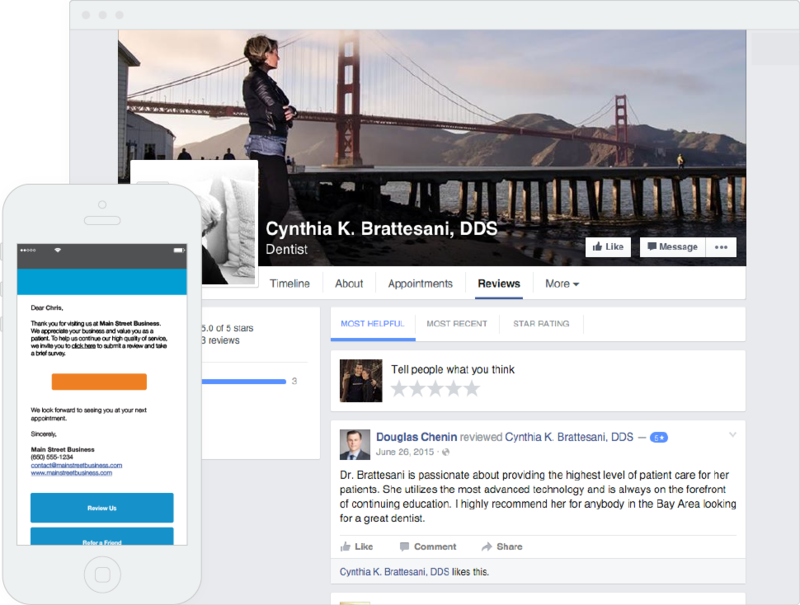 Expand your online presence by sending your customer reviews to sites like Yelp, WebMD, Vitals and more. It all starts by delivering quality service in a reliable and professional manner. Show customers you care about giving them a great experience and value their feedback. Automatically send a survey after each appointment. Get responses in real-time so you can take quick action to ensure customer satisfaction. Gauge how your business is performing over time with a private score. Gain insight on how to improve with standard and customizable questions. How you're perceived online is vital to your success. 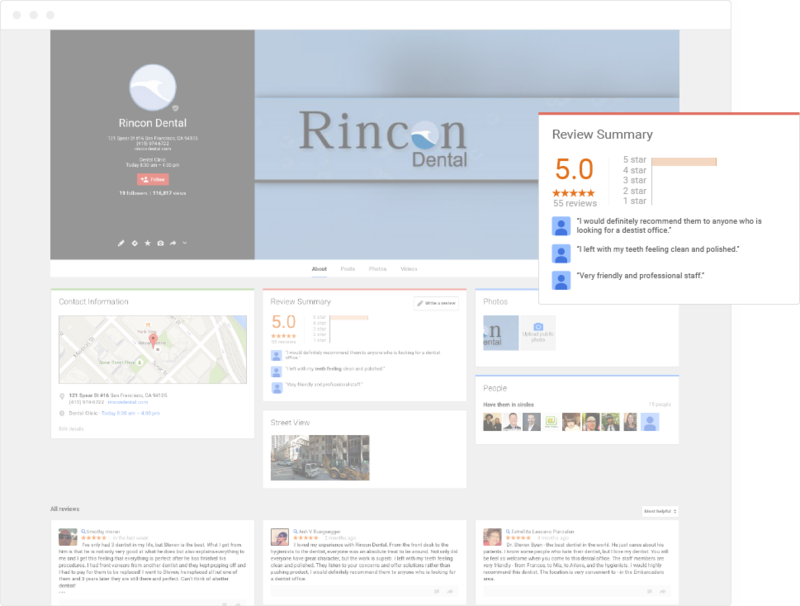 Positive ratings increase your visibility to potential clients, and let the world know your business is a gem. 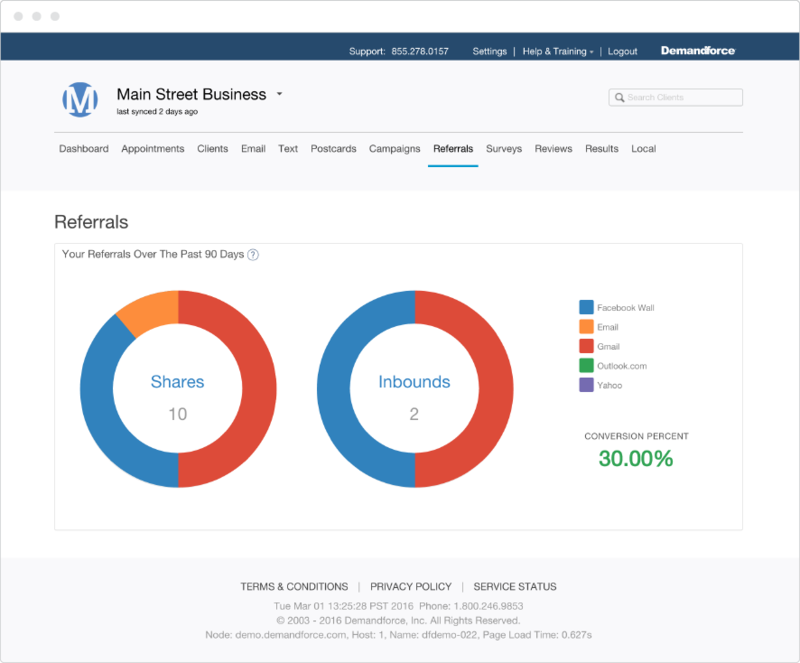 You can even showcase positive business reviews from clients on your website, Facebook page and Demandforce business profile. It's the equivalent of your name in lights! Our online reputation management tools make it easy to collect certified review from clients. Did you know that simply asking for a review makes one in ten people more inclined to give one? 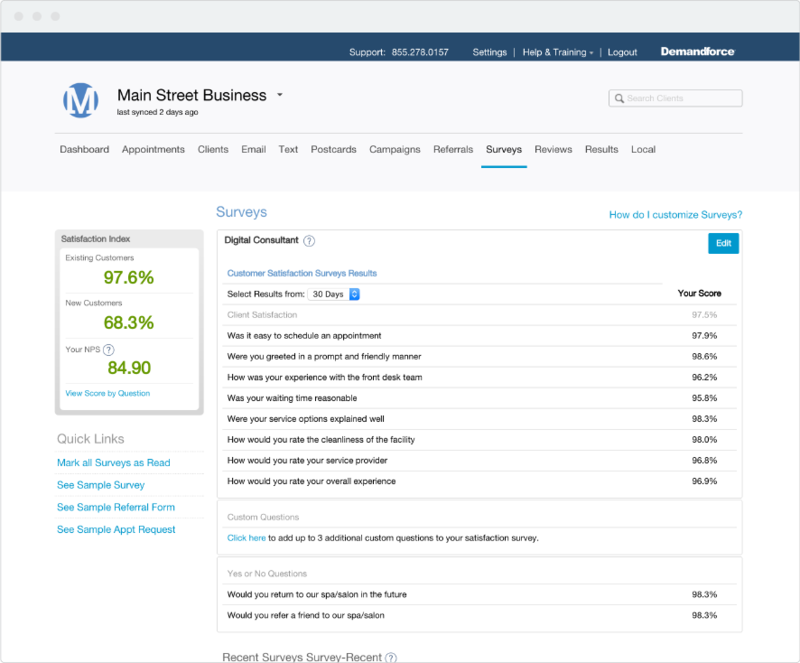 * With Demandforce, you can automatically ask for a review after each appointment. We can help protect your online reputation by ensuring business reviews are factual and written by actual customers. Word-of-mouth is still the best marketing tool. Eighty-two percent of consumers trust recommendations from friends and family — more than any other form of advertising. Let us show you how to tap into your base of satisfied customers to grow your clientele with referral marketing. Every communication that Demandforce sends on your behalf includes a button to refer a friend to your business. We target clients who have rated your business highly with a dedicated referral campaign. You can even offer incentives and rewards for referrals. When clients submit positive feedback about your business, we encourage them to share the experience with their entire social network. We make it easy to post a link recommending your business on Facebook so their friends and family can connect with you in just one click.